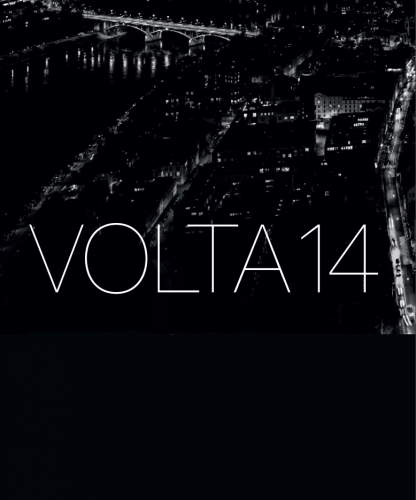 UNIX Gallery will be participating in 2018’s Volta14 art fair, held in a new location at Elsässerstrasse 215 during Art Basel Week (June 11 -16). UNIX’s booth A18 will feature a sharply curated offering of artworks by the gallery’s brightest emerging talents, William Bradley, Tom McFarland, and Josh Rowell. This marks UNIX Gallery’s inaugural participation in the international, cutting–edge art fair. Volta is open to the public from 12 - 8 PM June 12 - June 16. Guest of Honor and VIP Vernissage previews will be held on June 11 from 12 - 2 PM and 2 - 7 PM, respectively. William Bradley’s work begins with abstract gestural watercolors, which are then manipulated into a calculated arrangement. These resolved designs are then repainted in oil on canvas. His work can be described as “abstract art about abstract art” with an underlying concept that explores the communicative disconnect between artist and viewer that is specific to the pure abstract language. Tom McFarland’s mixed media works use string, hardware, resin, mesh, and acrylic within a geometric frame to create shadow and layered interplay between light, material, and negative space. Highly process oriented, McFarland creates balance between heavy texture and elegant coloration to create a quizzical, idiosyncratic conversation based on a feeling of structural constraint and improvisation. Together, each artist will contribute to UNIX Gallery’s booth a unique sense of color manipulation and form composition to create a cohesive exhibition channeling contemporary figurative and abstract art through a fresh lens.